Italy - also known as Bel Paese (Beautiful Country) - is nothing but a complicated, extremely intricate continuum of small epicentres, which are the living and breathing heart of the country. Italy’s small towns city centres historically represented the fulcrum of its culture and traditions, all so different and sometimes incomparable, yet participating in a unitarian reality, where the union is given by this net of interweaved informations and the urban structure which supports it and brings it to life. The concept of a town or city developing itself around an epicentre happens to be extremelydifferent from the one of today’s modern cities. Instead of focusing on a centred structure todays’ urban model tends to spread out as much as possible, developing in some cases smaller centres which shall replace the heart of the community, which was found in the city centre - but also its declinations such as the temple, the main square and more, depending on the culture and geography a city is originated from - once upon a time. 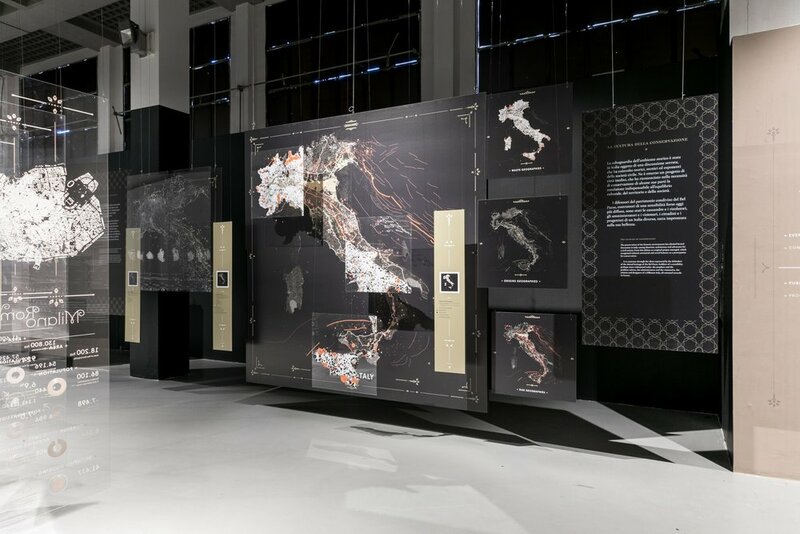 Il Bel Paese, exhibition curated by Benno Albrecht and Anna Magrin with the collaboration of Marco Marino and happening at the Triennale of Milan between the 27th of September and the 26th of November 2017, aims to reflect on the importance of historically conceived Italian provincial city centres, re-evaluate their efficiency as an urban structure and present them as ideal ground for the development of healthy communities. A reality where the needs we have living in a modern society are met in between by the necessity of preserve and remember some of the good values of the past. Values which we tend to take for granted, growing up in Italy, but whose effectiveness constitute a model which is not only valuable, but highly reproducible. Partially dedicated to Leonardo Benevolo, the exhibition is enriched by its drawings, which complete a series of studies around the topic. In this sense, presenting both graphic elaborations, tables and photographs, but also Benevolo’s original drawings, the exhibition itself is a portrayal of the deep reflection on the contrast between old and new which it encourages. 27 Settembre - 29 Novembre 2017.